The Securities and Exchange Commission (SEC) and the Capital Market Committee (CMC) are set to enforce the September 1, 2017 deadline for the forfeiture of about N45 billion unclaimed dividend in the Nigeria capital market. In a circular, SEC noted that stakeholders agreed to adopt a non-prosecutor approach to resolve the issue of multiple subscriptions, though the market also needs to ensure the balance not to be seen to be rewarding wrongful act and illegality of the perpetrators. SEC pointed out that a review by stakeholders shown that one major source of unclaimed dividend remains the use of non-existent identity to make multiple subscriptions to public offers. The CMC had particularly instructed claimants to provide verifiable evidence and identifications to prove ownership of such unclaimed dividends and shares, after which such unclaimed dividends and shares will be forfeited to the proposed Nigerian Capital Market Development Fund. Indications are rife that the about N45 billion unclaimed dividends and millions of shares may have belong to investors who used fictitious names and other secret means to buy shares through public offers, otherwise known as ghost investors. The 2005-2008 boom in the capital market witnessed significant increase in public offers as several banks, insurance companies and other non-financial quoted and unquoted companies jostled to raise funds through the capital market. 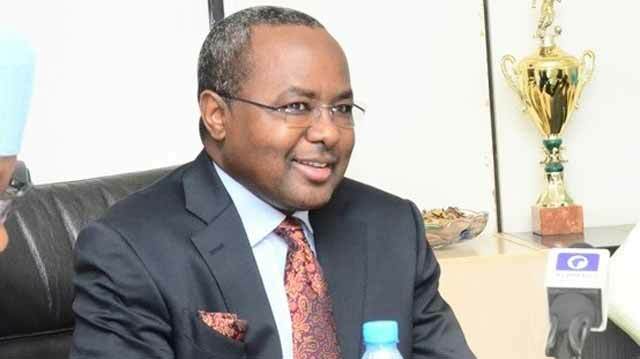 Securities and Exchange Commission (SEC) confirmed that to beat limits that were essentially features of public offers, including age, some applications and allocations, several subscribers used fictitious names and various forms to push through multiple allocations. Reliable industry sources told businessamlive.com that about N45 billion, or nearly three-quarter of the outstanding unclaimed dividends, and millions of shares belong to such fictitious investors. An investment advisor and strategist with a leading investment firm, who requested for anonymity because of the sensitivity of the issue, said the issue of fictitious investors, otherwise known as ghost investors, is one of the sore points of the market carried over from the boom-burst period of the market. “It’s really a major issue and we reckon that most of the unclaimed dividends and shares belong to such ghost investors. The decision to address the issue by the Capital Market Committee (CMC) will put one of the vestiges of the ugly past behind the market,” the investment advisor said. A report by an investigate committee set up by the CMC reported that there were two groups of investors involved in multiple subscriptions. The first, categorised as Group A, consists of investors that joggled their names in different forms to enable them purchase more than the permitted units of shares on offer. The second, categorised as Group B, consists of non-existent or ghost investors who did not exist but used fictitious names for purchasing more than the permitted number of shares during public offers. While condemning the two groups for their fraudulent intentions and illegal actions, the CMC, however, approved that Group A should be considered for a level of forbearance by giving them a grace period up to September 1, 2017 within which to come forward and prove their individual identities, subject to highest Know-Your-Customer criteria, to be defined by the SEC. Those owners, whose identities are established, would then be allowed to consolidate their accounts. After the expiration of the time, unclaimed dividends, traceable to this category that have not been identified and consolidated, along with their securities shall be transferred to the Nigerian Capital Market Development Fund to be managed in a separate basket under clear guidelines. Investors under Group A that cannot prove the ownership of their shares and the second group of investors, Group B, will forfeit the unclaimed dividends and related securities. Since these shares cannot be ascribed to anyone, both the unclaimed dividends and securities shall be transferred to the Nigerian Capital Market Development Fund.